A three-time Grammy-winner, Stanley was recently awarded his second honorary doctorate in music, this one from Yale University. In October, he will be inducted into the American Academy of Arts and Sciences in a class of that includes actor/director Al Pacino, novelists John Irving and Annie Proulx, Pulitzer Prize-winning cartoonist Jules Feiffer, former Secretary of Labor Robert Reich and oceanographer and discoverer of the Titanic, Robert Ballard. 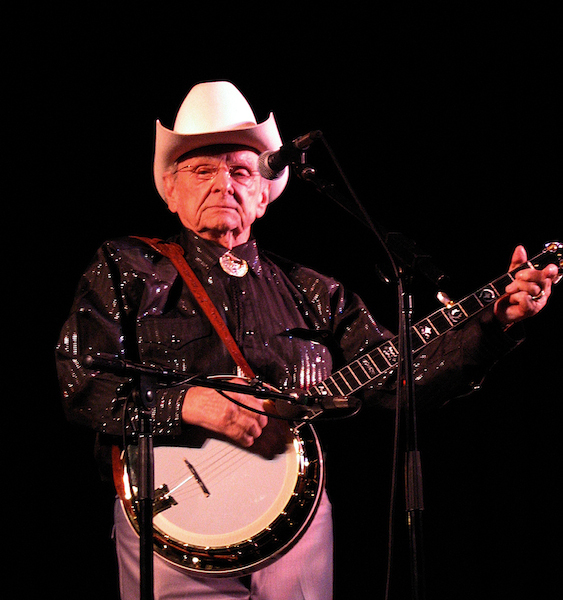 Recognized as the leading exponent of traditional Appalachian music and one of the founding father of bluegrass, Stanley has spread his sound around the world during his 68 years of touring and recording. He began his career in 1946 as the younger half of the Stanley Brothers, a group then headed by singer-songwriter Carter Stanley. The Stanley Brothers performed, recorded and appeared on television together until Carter’s death in 1966. In the years following Carter’s death, Stanley built and led a band that at various times featured such rising talents as Ricky Skaggs, Keith Whitley and Larry Sparks. Stanley went on to feature as one of the many bluegrass artists signed to appear on the soundtrack of the 2000 movie O Brother, Where Art Thou? The soundtrack album to that film has since sold more than seven million copies. Stanley was profiled by novelist David Gates in The New Yorker and went on to earn a Grammy as top male country vocalist, edging out Johnny Cash, Willie Nelson, Tim McGraw and Lyle Lovett. In addition, he was the first performer in the 21st Century to be inducted into the Grand Ole Opry. He is a member of the International Bluegrass Music Hall of Fame and a recipient of the National Medal of Arts. Vector Management is one of the most formidable artist, lifestyle and brand management companies in the entertainment business today. Led by co-presidents Ken Levitan and Jack Rovner, the staff has a tremendous depth of experience in both management and talent development. Having worked with some of the most iconic artists, chefs and public figures in the world, the Vector team is known for their ability to build a career trajectory that allows their clients to stand the test of time. With Levitan and Rovner’s 360o vision, Vector draws specialists from all areas of the entertainment business to build innovative, strategic campaigns that include marketing, publicity, touring, social media, sponsorships, endorsements and licensing. With offices in New York, Nashville, Los Angeles and London, the Vector team leverages its internal resources to manage all aspects of their clients’ careers.